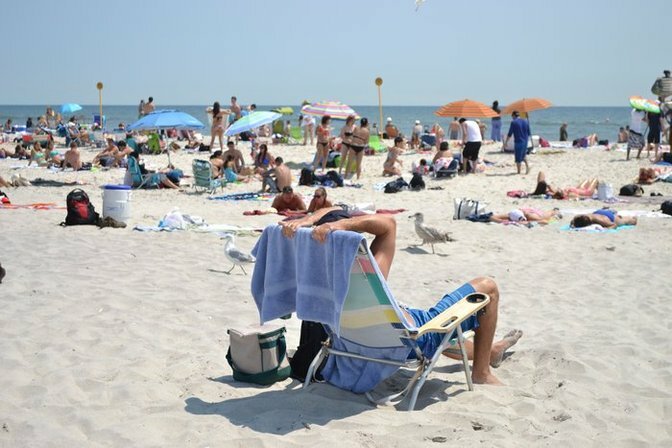 Long Island locals and tourists enjoy a sunny day at Jones Beach. Photo by Kelly Tenny via Longisland.com's Jones Beach Photo Gallery. Beautiful natural features, a rich cultural history and miles upon miles of open coastline make Long Island a tourist haven. And there is truly something for all vacation tastes. Beautiful white sand beaches line the coast from Jones Beach in Nassau County across the south shore to Montauk. The north shore offers glimpses of Long Island's glacial past, with stunning sandy cliffs, called moraines. Travel a bit inland and you'll notice that the North and South shores have a slightly different culture. The North Shore is home to many Gold Coast mansions. If you've read Fitzgerald's The Great Gatsby, then you are already familiar with the quintessential north shore estate, and the culture that inhabited it. Today some of these estates have been subdivided into hilly suburbs, but many have been preserved and offer an excellent venue for parties, as well as educational excursions. The Old Bethpage Restoration is a county-operated living history museum demonstration life in the 19th Century. Camp Hero in Montauk is the site of the Former Montauk Are Force Station that was in operation through the Cold War. Cultural tourism is abundant on Long Island. In addition to our colonial and early-republic historic sites, the Shinnecock Indian Reservation is located in Southampton, New York. The ancestors Shinnecock nation inhabited the lands around Southampton before European settlers overcame the island. The Shinnecock Nation's welcome visitors to their land, especially during their annual festivals. Long Island offers much in the way of hotel accomodation, including national chains, five stars and bed and breakfasts. Please check out our hotels, restuarants, theatre, museums and beaches listings to plan your vacation on Long Island. Learn Something New at One of the Many Museums on L.I. Hotels on Long Island - Get ratings and reviews for hotels on Long Island. Museums on Long Island - Get location and program information for museums on Long Island. Theatres on Long Island - Find prices and show listings for live performances on Long Island. Beaches on Long Island - Get a listing of beaches on Long Island. Restaurants on Long Island - Get reviews, prices and locations for restaurants on Long Island.